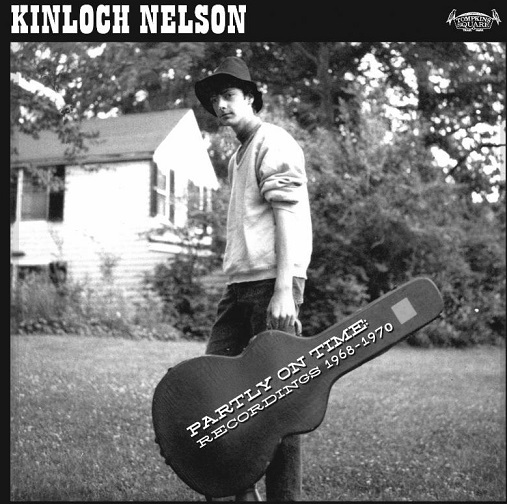 American primitive guitarist Kinloch Nelson does not have an extensive discography of recordings, but he has never stopped playing and performing acoustic guitar over the years. On March 22nd, Tompkins Square will release Nelson’s historic recordings, PARTLY ON TIME - Recordings 1968-1970, and Nelson will participate in several record release events, including April 12’s gig at Rhizome. Hailing from Rochester, NY, Kinloch Nelson studied classical guitar privately with Stanley Watson, jazz guitar with Gene Bertoncini at Eastman School of Music, and music theory at the University of Rochester. In 1973, he began teaching both privately and at The Hochstein Music School where he was on the faculty for twenty-five years. With several others, Nelson co-founded the Guitar Society of Rochester in 1985, which during its ten-year run presented many of the world's greatest guitarists. Nelson is also the author of a book, Alternate Guitar Tunings. For this special appearance in DC, Nelson will be joined by label mate Max Ochs. A familiar face at Rhizome and on the DC folk scene, Ochs hails from Annapolis. During his time University of Maryland, where he befriended folks Ed Denson and guitarist Robbie Basho, Ochs contributed two tracks for 1966 CONTEMPORARY GUITAR on John Fahey’s Takoma label. Ochs went on to perform in NYC’s Seventh Sons, as well as performing solo and with other folk musicians. He appeared in Takoma Park at last year’s guitar festival produced by Rhizome et al., The Thousand Incarnations of the Rose.